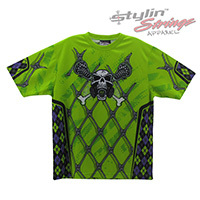 The Toxic sublimated lacrosse reversibles have one of the most unique body lines. One side has the full color argyle pattern, and the opposite side we greyscaled the argyle to acentuate the purple fill. 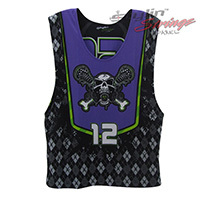 The full custom pinny was was designed from scratch.